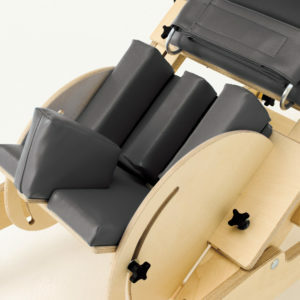 The Lay Prone is a prone stander designed for children from 18 months old to young adults who require moderate levels of support whilst developing control and function. The Lay Prone offers a high level of adjustability in the trunk, pelvis and knees. By adjusting the sandals you can control dorsi and plantar flexion. The Lay Prone also provides your child with the stability required to facilitate head control and helps to achieve an increased range of movement in the upper limbs. 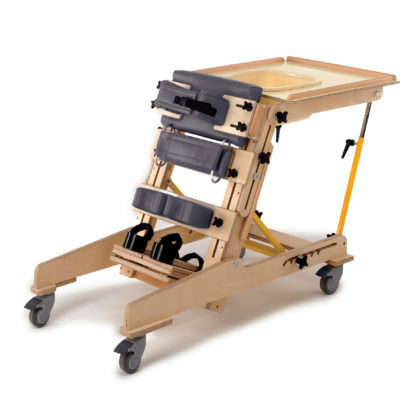 The Lay Prone is available in 3 sizes and comes complete with height and angle adjustable tray and bowl with cover as standard.